One of the first things people realise when they come to Spain is that “the laws are different” and that there are different police forces to deal with different aspects of the law. 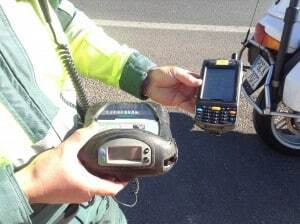 In early 2015, a group of officers from the traffic department of the Guardia Civil in Torrevieja, Alicante decided to launch their own website and a Facebook page to make contact with the general public and instruct/advise on the traffic laws and how they are applied. Within days the project went viral and they quickly reached 5,000 fans on FB. This caused challenges as they struggled to keep up with the avalanche of questions and quickly brought the media in to assist. ThisIsSpain is one of hundreds of sites now taking their press releases. I met Fran Morales one of the men behind the project and I am delighted to support him. Great work, Fran!